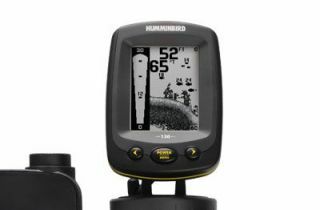 The 130 Fishin' Buddy offers a 16 level grayscale 320V x 240H 4" display, Down and Side looking sonar with 1000 Watts PTP power output. The ultimate in portability, with an ergonomic clamp mount designed to use nearly anywhere. No rigging, wiring or transducer to mount.